Savory and Sweet, is there a better combination on the planet? 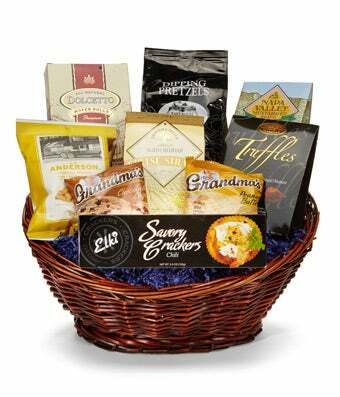 This basket is an absolute crowd pleaser, overflowing with sweet treats like cookies and chocolate, and savory snacks like crackers, biscuits, and pretzels this gift is perfect for many occasions. Please note that the variety of sweet and savory snacks in this basket may vary.